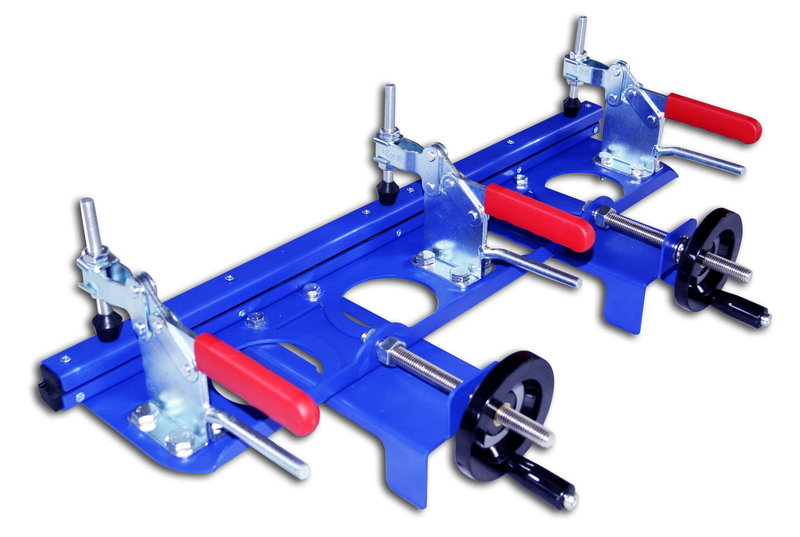 My company's new design ---any combination of manual screen stretcher ;The base is universal, and there are two and three fast clips installed separately ;The pressing plate is replaceable, users can replace different length pressing plate from 30,40,50,60,70,80,90,100cm according to different needs . 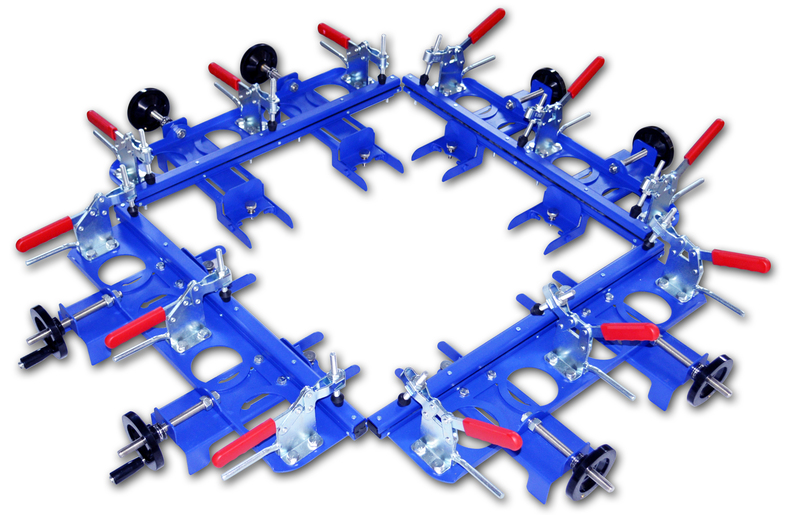 It can achieve multi-usage, and it can save materials, the stretching effect is better. 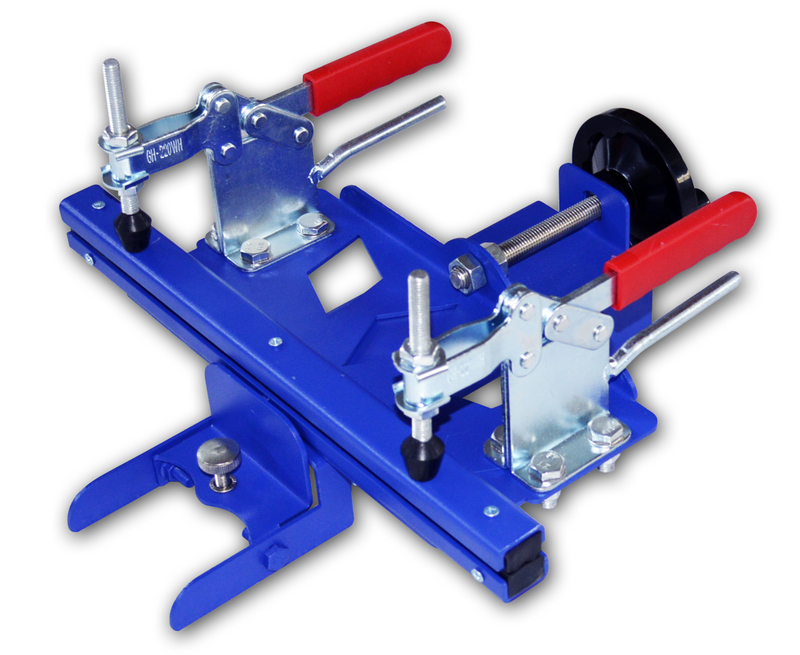 There are two kinds universal base of the machine , they are 36 type and 710 type ;Pressing plate of 36 type universal base can be replaced from 30.40.50.60cm. 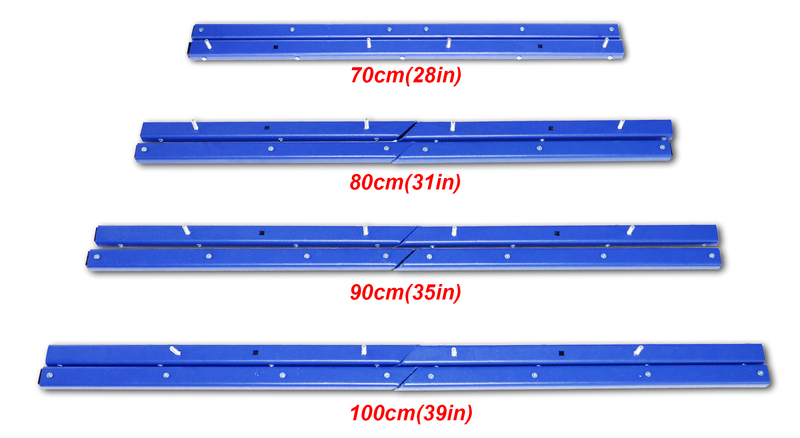 Pressing plate of 710 type universal base can be replaced from 70.80.90.100cm. 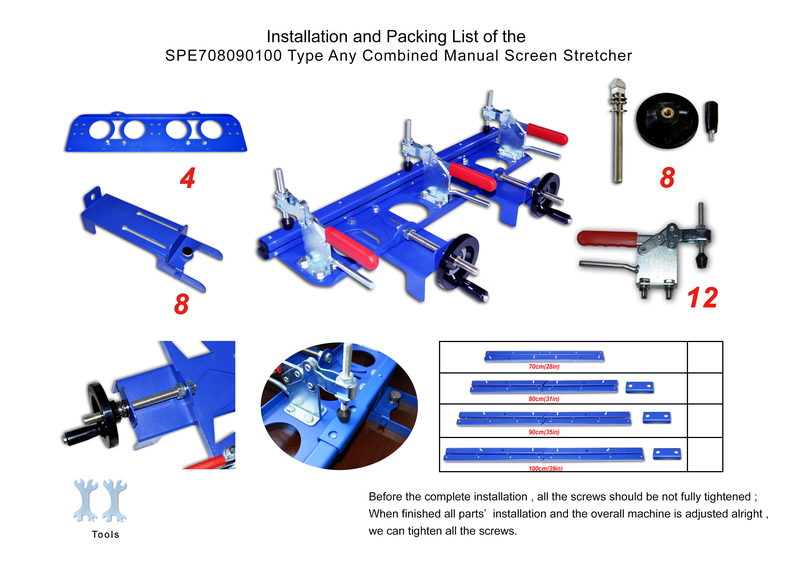 When using ,users just need to choose suitable mesh pressing plate according to the size of the screen frame,and install the pressing plate on the base to finish the suitable stretcher. 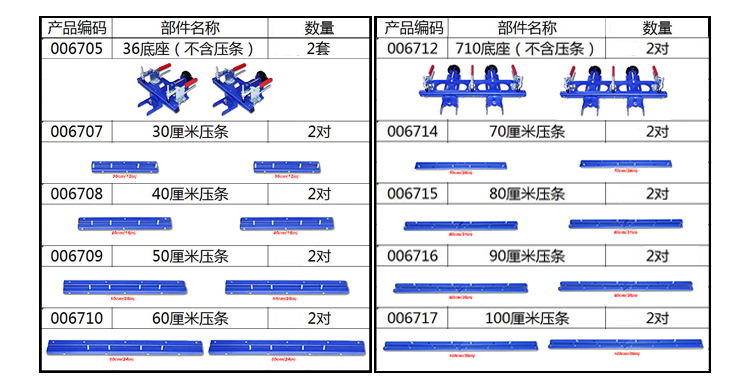 If customer commonly used screen frame is outer size below 60cm, select 4 sets 36 type universal base and 2 pieces of each size pressing plate from 30,40,50,60 cm; During the using process, users can finish the following six kinds different size stretcher according to the need 30 * 40; 30 * 50; 30 * 60; 40 * 50; 40 * 60; 50 * 60 cm. 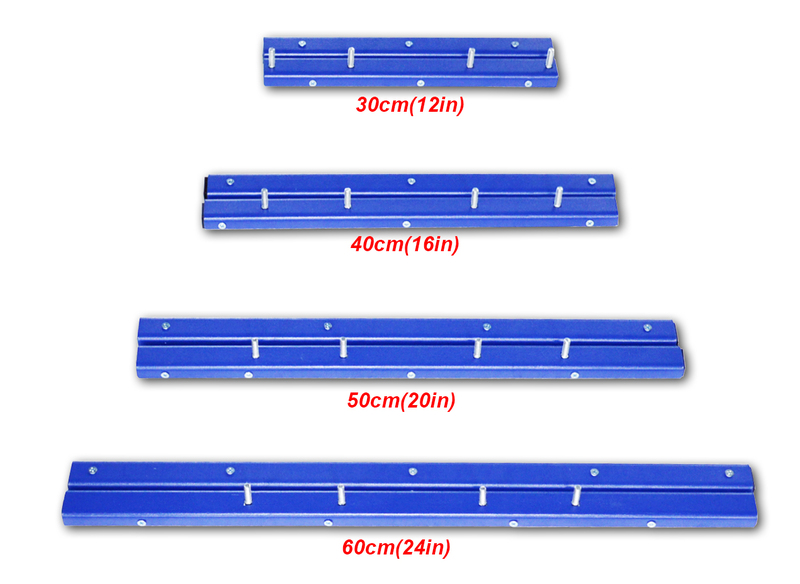 4 sets 36 type universal base , each size 4 pieces pressing plate ,and the length is 30,40,50,60cm. 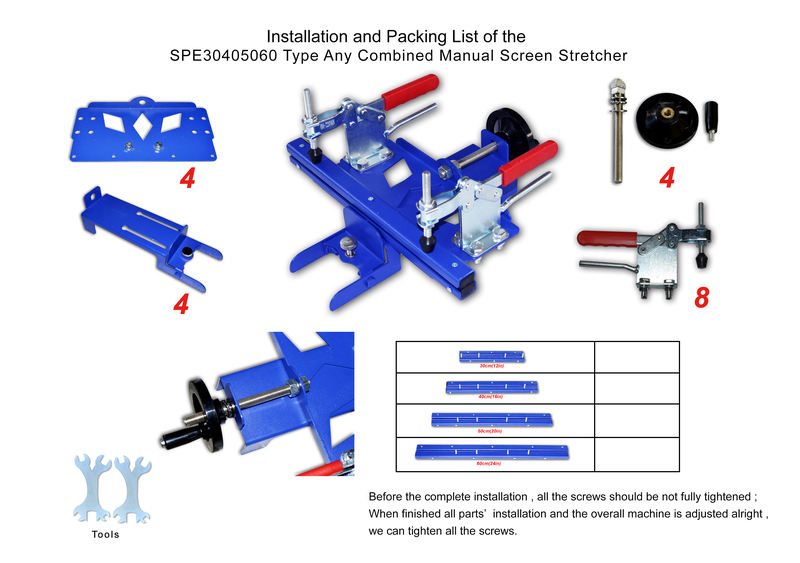 Using these users can stretch 30*30；30*40；30*50；30*60；40*40 ;40*50；40*60；50*50；50*60；60*60cm screen frame. 1.The rubber layer is concave convex; using tasteless and resistant to aging rubber. 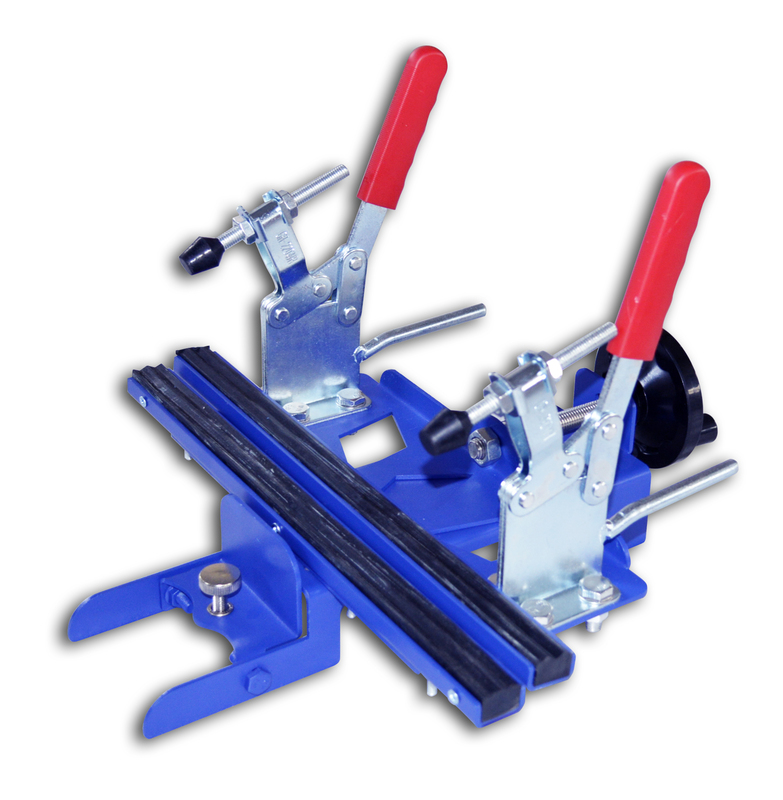 2.The 36 type pressing plate adopts the whole strip, no seams;It can ensure the evenness of the bonding strength; The 710 type adopts split pressing plate; Strip adopts 45 degree angle cutting splicing, the joint plane without line interface, the bonding strength is evenly. 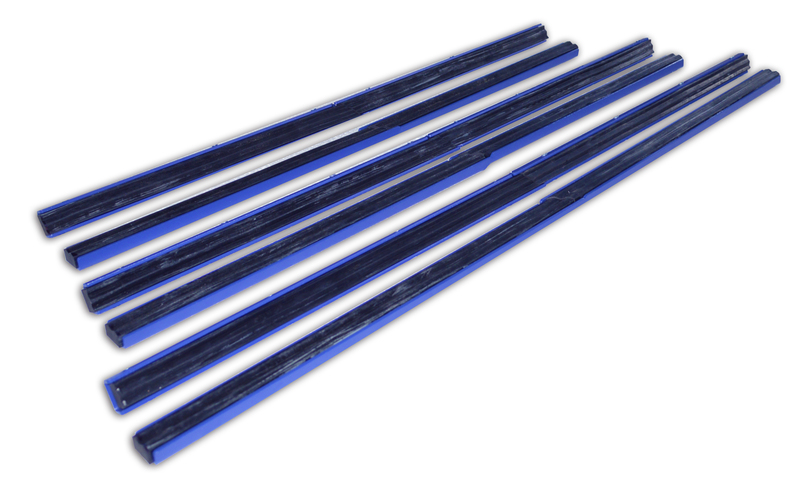 3.The hardness of rubber is reasonable,make the mesh is not loosen. 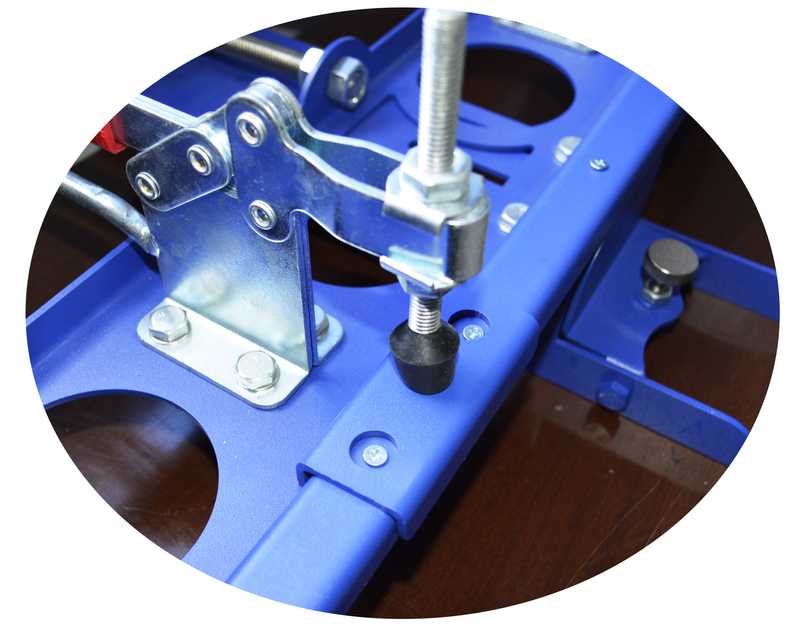 4.The top rubber and fast fixture adopts split structure,place the top rubber is more convenient. 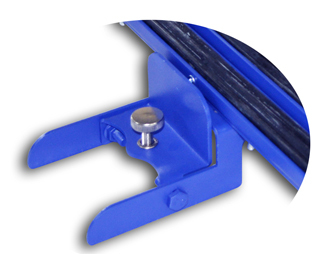 5.The fast fixture uses auxiliary handle,buckle and loose are more effort. 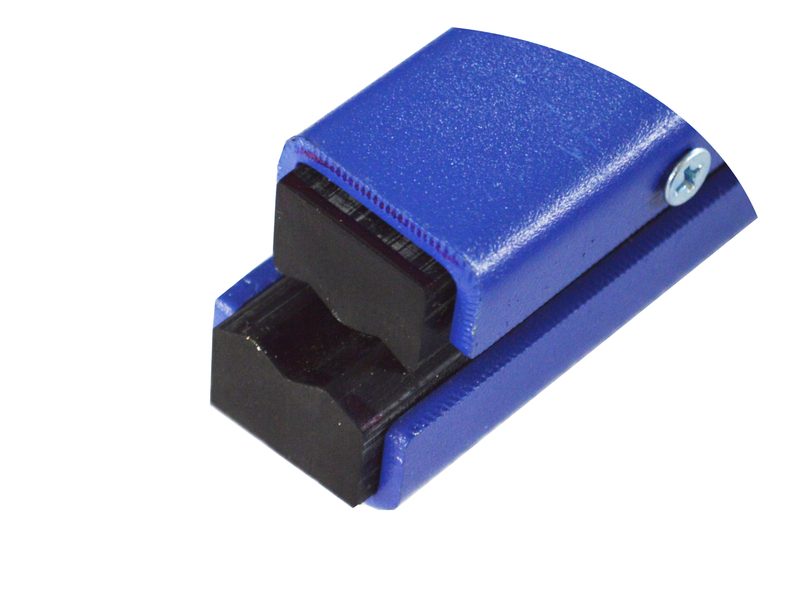 6.Suitable for the thickness of different frame by adjust the screws. 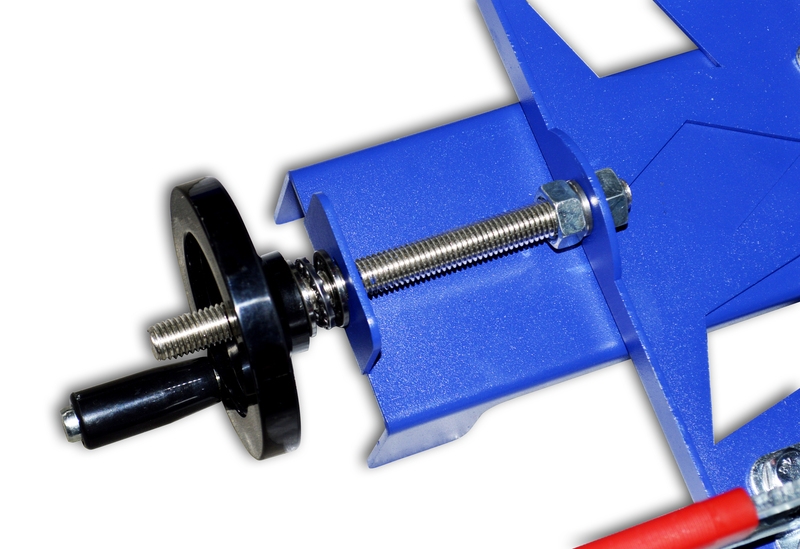 7.Tighten the handle wheel, rotate the handle wheel more easily. 8.The machine adopts combined structure, customers can install the machine easily by using the full set of installation tools according to the installation instructions. 9.The machine adopts the main parts split packing, and it adopts the European and American standard export packing; Package volume is small, and it can ensure the safety of products; Lower transport costs; It is especially suitable for export. 1.According to the size of frame and place the stretcher. 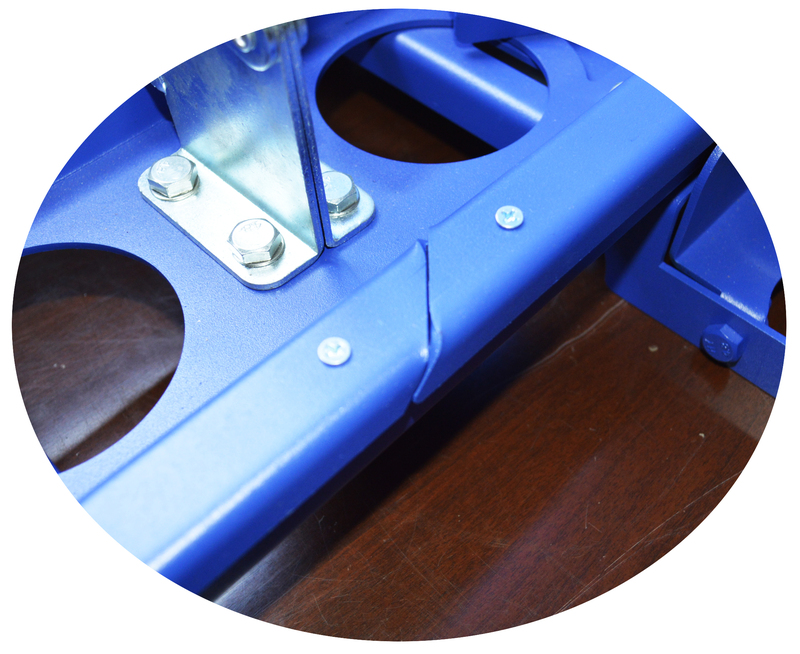 2.According to the thickness of frame and adjust screws ,the frame is higher than the stretcher baffle 2-4mm. 4.Push the clipboard to the inside,flatten the screen mesh,put the top rubber layer;using the fast fixture presses the top rubber layer. 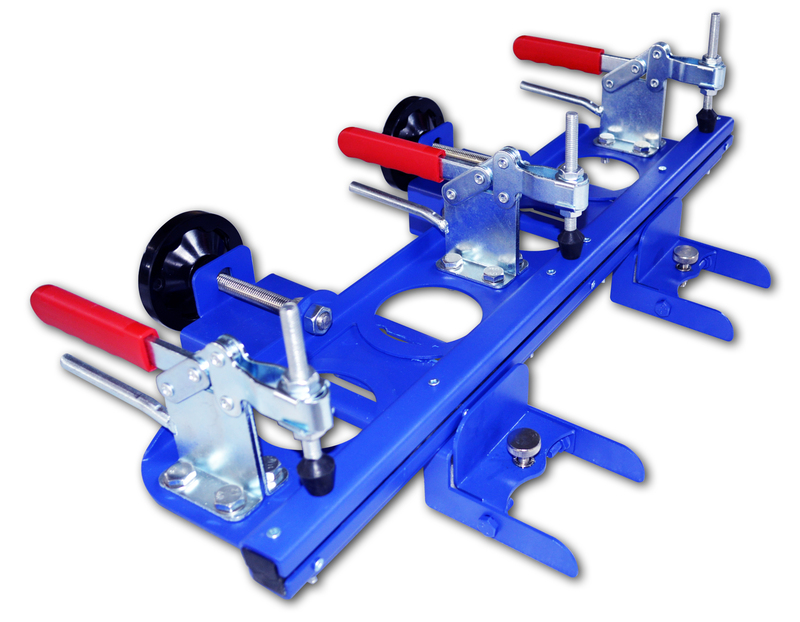 5.Turn four hand wheels and start to stretch screen mesh; using tension meter tests tension,tighten the screen mesh according to the situation,achieve the required tension. 6.Costing the glue again;place a period of time,while the glue dry completely and remove the frame.